Our Entrepreneur I.Q. 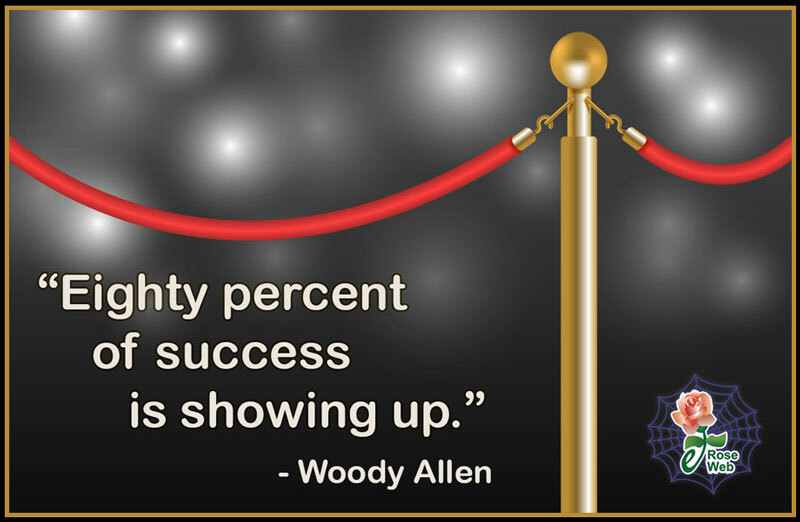 (Inspirational Thought) for Thinking Thursday is about the importance of showing up. The quote below can be interpreted many different ways, here are some thoughts on how I see it as an inspiration for Small Business Owner Entrepreneurs. Success is not really about having the best idea…but instead it usually is about either getting to the market first or consistently getting out there with marketing, taking action and making improvements. For small business success a key factor is to show up in a specific niche market with your marketing and promotions. Show up for Leadership…Show your clients and employees that you are dedicated to them by being there when you are needed. What do Life and Business have in common they are often about relationships. Showing up for your clients and employees can make a huge difference in your long term success. Longevity…Showing up in this case refers to persistence. There are many small businesses that need to demonstrate longevity before they can really be successful, for example most people don’t want to hire a home improvement contractor that just hung out an open for business sign. They want to deal with someone experienced, who has been around for a while and who will continue to be around for a while – so they will be there when they need them. As statistics tell you this is easier said than done with many businesses not making past the first couple of years. If you are just getting started do what you need to do to survive, and remember most of the overnight successes you hear about have really been at it for a decade or two! Marketing…Make sure your business is showing up where your prospects are. Whether that means a website that shows up well on their smartphone, or meet them online using their favorite social media platform, or getting in front of them face-to-face at a Chamber of Commerce or Industry Event. Be There! We appreciate your continued interest and we look forward to hearing from you about ways to help fellow Entrepreneurs Make Business Bloom.